A State Supreme Court jury Tuesday ordered insurance carriers for an elderly Amherst woman to pay an elderly Orchard Park woman $500,000 for injuries she suffered in an Oct.7, 1994, two-car crash in the parking lot of the Eastern Hills Mall. 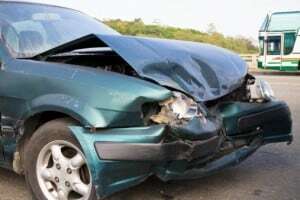 The attorneys said the accident occurred when Mrs. _ tried to cross a roadway in the mall parking lot without stopping or looking for oncoming traffic and she rammed into the passenger side of the car driven by Mrs. _ husband, now 77. _, a retired West Falls auto repair shop owner, wasn’t injured in the accident but Mrs. _, a retired Roswell Park Cancer Institute nurse, is now confined to a local nursing home, the attorneys said. Mrs. _ was charged with failure to yield the right of way, but her traffic case was reduced to a parking ticket, Hayes and Mattar said. A Cheektowaga man agreed to a pretrial settlement that will pay at least $5.3 million for severe head and leg injuries he suffered when his car collided with a tractor-trailer two years ago, his attorneys said Tuesday. _________ will receive an initial cash payment of $1 million from insurance carriers for two Niagara Falls firms, attorneys Terry D. Smith and Norman J. Mattar said. _________ will receive monthly payments for the next 30 years totaling an additional 4.3 million, his attorney said. _________ will continue to receive payments if he outlives the 30-year period, they added. _________ has been unable to return to work on the assembly line of a Lancaster plant since the crash on Walden Avenue near Union Road, Cheektowaga, on July 29. 1983. _________’s legs were broken and he suffered head and facial injuries when his auto ran into a scrap-metal rig pulling out of a steel warehouse lot. The settlement will be paid by insurance carriers for Buffalo Fuel Corp. and SPC Enterprises Inc. Buffalo Fuel owned the rig, which was being driven by an SPC worker. Attorney ___ said the suit claimed the SPC driver caused the accident by failing to yield the right-of-way to. An Amherst construction worker has accepted a $450,000 partial insurance settlement in his continuing litigation over a workplace injury on Jan. 10, 1996. _________ will get a check from insurance carriers for Seneca Industrial Associates for knee injuries suffered in a fall blamed on defective stairs at a loading dock area of Seneca Industrial Park. The injury made worse an existing knee problem and leaves him facing future surgery and arthritis, his attorneys said Monday. Attorneys, J. Michael Hayes and Norman J. Mattar, said there still is a suit pending against JMB Mailing Services, seeking monetary damages. __________ alleges the stairway was damaged when JMB installed a truck ramp lift device, attorneys said. The settlement offer, by insurance carriers for owners of the industrial park, in the700 block of Seneca Street, came just before jury selection was to begin before State Supreme Court Justice David J. Mahoney. NIAGARA FALLS – A state Supreme Court jury awarded more than $1.5 million to a North Tonawanda woman left partially paralyzed following an alcohol-related car accident in 1987. _________, now 19, of Linwood Avenue, was awarded the $1,586,000 verdict Wednesday, ending a negligence trial before Justice Jacqueline. M. Koshian. Buffalo attorneys J. Michael Hayes and Norman J. Mattar, represented _ and her parents. Hayes said the verdict came as a result of the jury’s interpretation of a state law under which a person who supplies alcohol to another person can be held responsible for the acts of that person. _________ was thrown into the windshield of a car driven by _ of Miller Street, North Tonawanda after it skidded on icy pavement and hit a utility pole the night-of Dec. 29, 1987. The accident happened on River Road in the Town of Wheatfield. She suffered paralysis of her right side from her injuries. Besides __________, other defendants were __________ , of Payne Avenue, North Tonawanda, and _________ , of Miller Street, owner of the car. “The jury found _________ was under age and had been furnished beer earlier in the evening by _________” Hayes said. _________ was 18 at the time. _ had testified _________ was standing outside the Pit Stop Food Mart 441, Payne Ave., at the time. “Although he was only 17, he was able to purchase beer which he provided __________ and other youths there… he was (subsequently) found to have contributed to the intoxication of a minor and was thus responsible for the actions of the minor,” Hayes said. Hayes said _________ was implicated because he owned the car that _________ was driving with the “implied consent” of _________’s son, _________, 17 at the time. Hayes said the jury initially awarded a total verdict of $2,086,000 but reduced it because the victim was not wearing a seat belt at the time. Wednesday’s verdict was delivered after three hours of deliberation.